Enhance the beauty of your hands and feet with affordable manicure and pedicure services at our nail salon in Livermore, California. Choose our deluxe package for the ultimate pampering. These blissful treatments exfoliate and soften your skin while leaving it feeling clean and tingly. The additional massage is the icing on the cake, providing the relaxation your body needs. 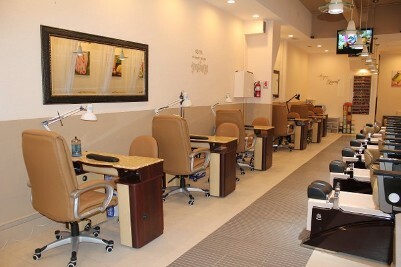 Fall in love with the look of your new acrylic nails or gel manicure from Tips & Toes Salon #2. 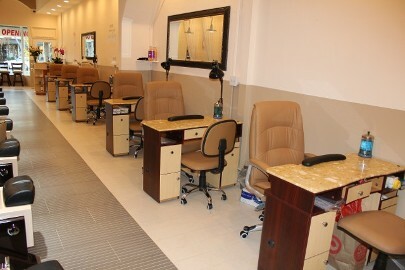 From full sets to acrylic French tips, and glitter our salon does it all. Contact Tips & Toes Salon #2 in Livermore, California, to explore endless possibilities for glamour with our pedicure and manicure services. Manicure Services in Livermore, Ca. 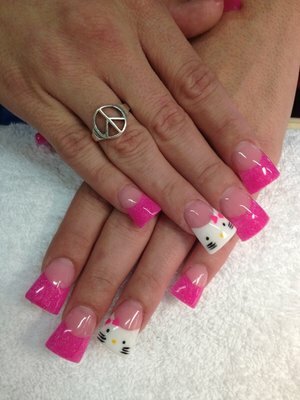 Complete with Basic Manicure and your choice of Gel Color Polish. Gel Color Polish is a great quality, no chipping, no drying time, easy removal, and flawless high shine that lasts for weeks. Begins with filling, shaping, trimming cuticle, hand massage, and your choice of polish. Designed for men or women who wants just a Basic Manicure without polish, followed with buffing and a natural shine appearance. This treatment includes with Basic Manicure, and honey sugar scrub which gently exfoliate while blend natural honey and oil is penetrate deeply to soften and moisturize. Skin will be left with a radiant glow without a greasy residue. On top of Classic Manicure, followed with antibacterial paraffin heat wax – Soothing, fast acting heat relief of minor aches and pains. This treatment also effective on: Arthritis, inflammation, joint stiffness, muscle spasms, sport injuries, and dry cracked skin. Pamper yourself with your choice of different senses and kinds of sugar scrub which exfoliate, soften and hydrate your arms and hands to bring back a healthy and young looking skin. Followed with paraffin heat wax and extra massage promotes healing, wellness, and overall relaxation. 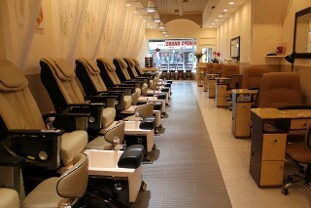 Pedicure Services in Livermore, Ca. 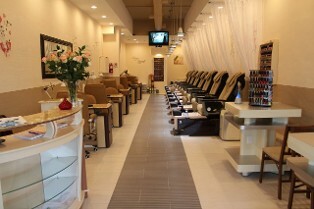 Complete with Basic Spa Pedicure and your choice of Gel Color polish. Gel Color Polish is a great quality, no chipping, no drying time, easy removal, and flawless high shine that lasts for weeks. Enjoy total relaxation with our modern spa massage chair can enhance mobility, blood circulation, flexibility and breathing. Also it’s able to loosen your tight and strained muscles to release the stresses of the day. 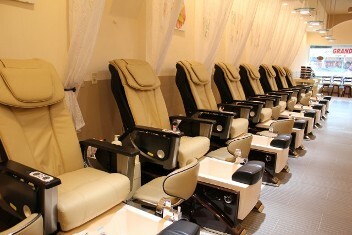 Followed with filling, shaping, trimming cuticle, foot scrub, foot massage, and your choice of nail polish. 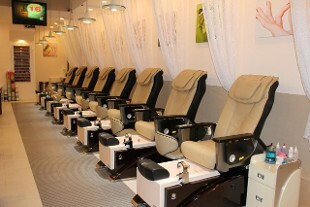 Relax with our Basic Spa Pedicure, followed with (choose 1) different kinds of sugar scrub treatment. It’s gently exfoliate, soften and hydrate while soothing and freshening your skin. On top of our Classic Spa Pedicure, followed with Antibacterial Paraffin heat Wax – It is soothing, fast acting heat relief of minor aches and pains. It’s also effective, on arthritis, inflammation, joint stiffness, muscle spasms, sport injuries, and dry cracked skin. 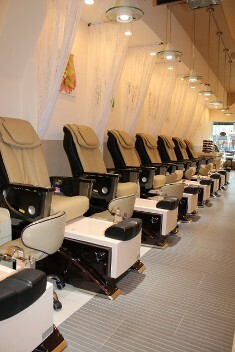 On top of our Classic Spa Pedicure, followed with (choose 1) different kinds of FOOT MASK treatment. It’s a aroma therapeutic cream design to soften, rejuvenates, hydrates, and brightens the feet to bring back a healthy and young looking skin. 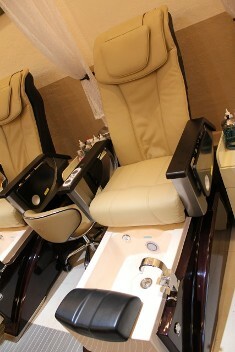 This treatment includes with Essential Spa Pedicure, and callus & dry heel eliminator. It’s effective, efficient callus removal, repairs and hydrates the skin. Key vitamins and oils penetrate beyond surface skin to soothe, heal and hydrate deeper skin layers for long-term therapeutic results. It’s all about pampering your feet and relaxation after a whole day of working. It’s treatment for tired and swollen feet. Besides Essential Spa Pedicure, followed with extra massage on feet will improve circulation, relieve stress, and bring balance to the whole body. Peppermint, Eucalyptus Oil and Glycolic Foot Mask – Protein formula relieves dry skin rejuvenates, soften, hydrates, and maintain youthful elasticity. It’s enhanced with botanical extracts, conditioning agents, and soothing peppermint and eucalyptus oils. The QTICA Smart Spa Moisture Mask is a deeply hydrating foot mask with an anti-oxidant rich, nourishing formula. Giving you results that are visible immediately, the QTICA Masks restore lost nutrients to skin while repairing damage and noticeably brighten skin. Sloughing Cream with Peppermint, Eucalyptus and Pumice Removes Rough Dry Skin – is refreshing cream designed to gently remove, exfoliated, and smooth away rough, dry surface skin on heel and sole of the foot. It also penetrating properties help to relieve tired, stiff, sore muscles and joints. Honey Sugar Scrub – Mineral and American honey sugar gently exfoliate while blend natural honey and oil is penetrate deeply to soften and moisturize. skin will be left with a radiant glow without a greasy residue. The QTICA Smart Spa Exfoliating Sugar Scrub goes like honey and removes dead skin with delicate sugar crystals that dissolve completely to leave behind soothed, softened skin. They are perfect exfoliating product that will never leave residue, and never dries or irritates skin.